Later this year, Bell’s CraveTV streaming platform will be included with all ‘The Movie Network + HBO Canada‘ packages at no additional cost, regardless of television provider. The new offer will begin on November 1st with Rogers. 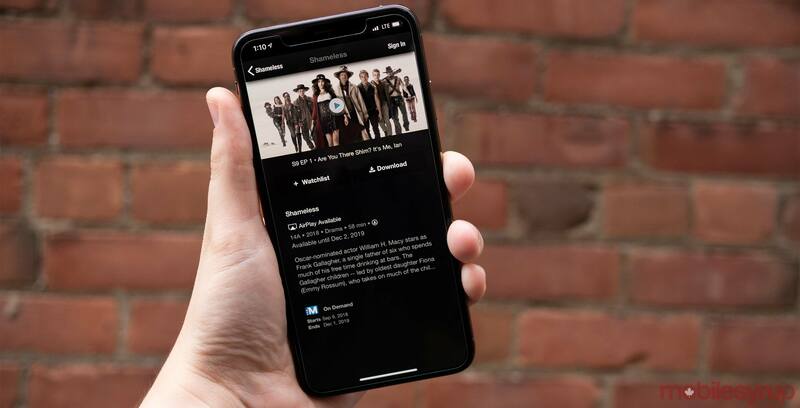 The carrier advises customers that already subscribe to CraveTV service separately, but also have a TMN + HBO package, to cancel their subscriptions to the Bell-owned streaming platform before this date. Rogers says TMN + HBO package customers will automatically be given access to CraveTV on November 1st, meaning there will be no need to contact the carrier to add the service. This will likely be the case with other television providers, including Vidéotron, Cogeco, Sasktel and more. Current CraveTV user preferences and watchlists will not carry over. Customers will instead be required to enter their Rogers customer log-in information to access the CraveTV app. Rogers says it will reveal more details on how to access CraveTV content on November 1st. Given that CraveTV is a Bell Media-owned property, this is an interesting move on the carriers’ part. Rogers shuttered Shomi, the company’s streaming service partnership with Shaw, back in September of 2016. Through Rogers, TMN + HBO packages cost $19.95 CAD on top of the price of a digital cable plan. The first four months are offered at 50 percent off, coming in at $9.95. Pricing for TMN GO + HBO packages varies between television providers. Unlike streaming video platforms like HBO Now in the United States, the Warner Media-owned premium content platform is not available untethered from a traditional cable subscription in Canada. Update 10/02/2018: Story has been updated to reflect that CraveTV will be available through all television providers that offer TMN GO + HBO packages and not just Rogers.